Windows 10 operating system provides its own built-in tools that you can make use of to backup all your personal files and data. In this article, we are providing you with the steps to backup your personal files, data and photos using File History. 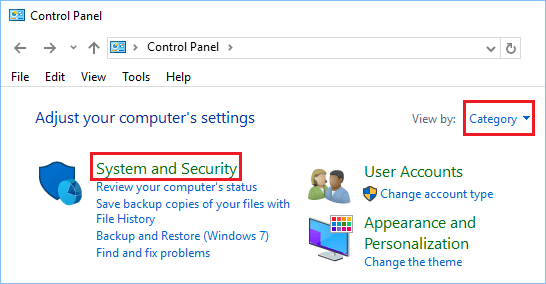 Although “File History” sounds like a tool to monitor changes to your files and restore previous versions of files, it is in-fact a very competent tool that can be used to backup all your Personal Files, Photos and Videos to an external Hard Drive connected to your Windows 10 computer. By default, the File History tool is set to back up all the Files/Folders located under the User Account Folder (C:/Users/[YourAccount]). This means that all your Files/Folders located on your Desktop, Documents, Downloads, Music, Pictures, Videos, OneDrive and some portions of App Data Folder will be automatically backed up by File History. In addition to backing up Files/Folders, File History also monitors Folders for changes, and automatically backs up any File that you modify or add. 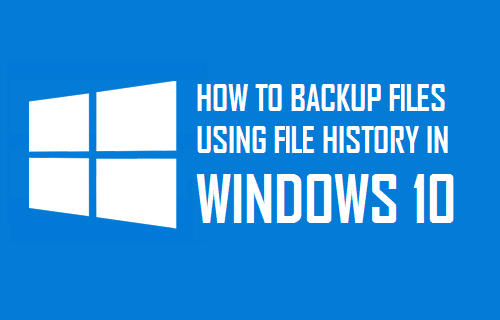 Follow the steps below to make a backup of all your files and data using File History on a Window 10 computer. 1. Click on the Windows Start button and then click on the Settings Icon (See image below). 2. On the Settings screen, click on Update & Security. 3. On the next screen, click on Backup in the left sidebar menu and then click on Add a drive option located to the right of your screen (See image below). 5. 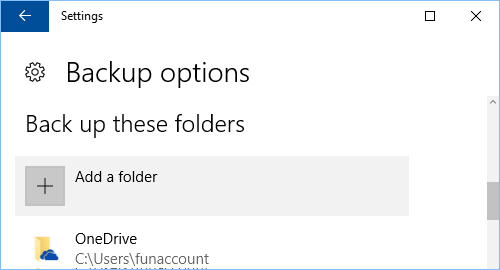 Once the drive is selected, you will see Automatically Back up my Files option appearing and this option will be turned ON by default. Now that you have setup your computer to backup to external hard drive using Files History, the next step is to configure File History Backups to suit your own unique requirements. 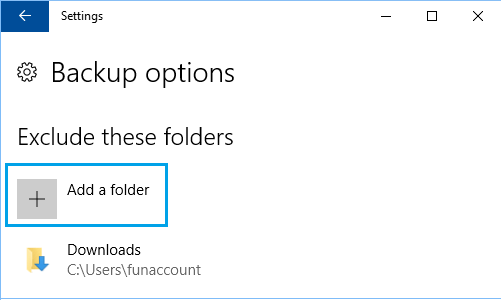 Follow the steps below to Configure and fine tune File History backups on your Windows 10 Computer. 3. On the Update and Security screen, click on Backup in the left sidebar menu and then click on the More Options link located in the Backup and File History section (See image below). 4. On the next screen, you will see the options to choose when your files are backed up and the period up to which the backup files are to be stored on the external hard drive (See image below). The default option is to backup files daily and keep the backups forever. This practically means that File History tool will continue making backups of your Files until the External Drive is Full. However, you can change “Backup My Files” and “Keep My Backups” option to whatever suits you better. 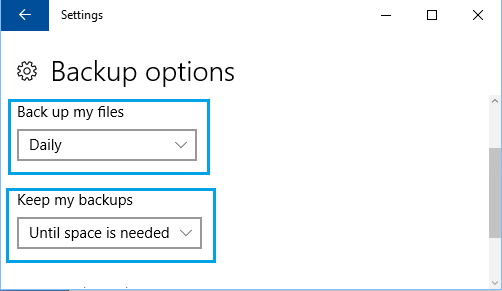 Choosing the option “Until Space is Needed” will result in File History tool automatically deleting old Backups to create space for new backups. 5. On the same screen, you can scroll down and Add more Folders to be included in the Backup by clicking on the Add Folder option under Backup These Folders Section. 6. Similarly, you can scroll down to “Exclude These Folders section” and click on Add a Folder to exclude Folders from File History Backups. 7. On the same screen, you will also see the options to Stop Backups to the current drive and choose a different drive for File History Backups. Once setup and configured properly, the File History tool will continue to work in the background making copies of your Files. Follow the steps below to Restore Files from a backup using the File History tool in Windows 10. 1. 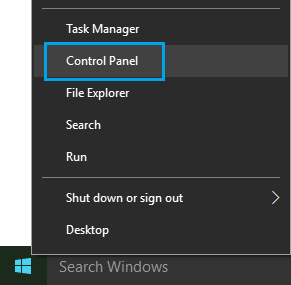 Right-click on Windows 10 Start button and then click on Control Panel in the Menu that appears. 2. On the Control Panel screen, make sure you are in Category View and then click on System and Security option. 3. On the next screen, click on File History Option. 4. On the File History Screen, click on Restore Personal Files Link, located in the left sidebar menu (See image below). 5. On the next screen, you will be able to browse by backup date and even preview files before clicking on the Restore button.